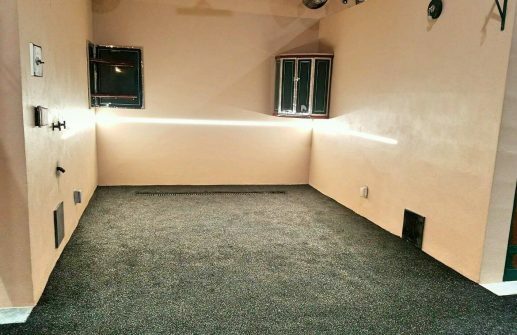 Amberway Equine provides their customers with EquiLumniation Equine Lighting. 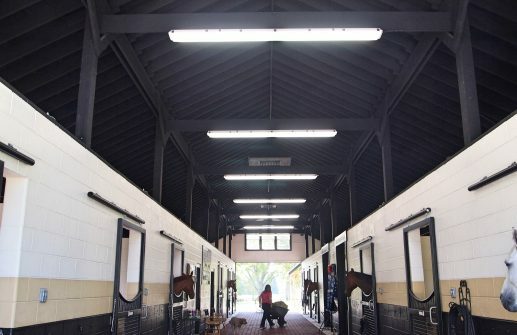 This lighting solution is perfect for equestrian facilities and provides cost effective and energy efficient lighting solutions for all types of horse barns and riding arenas. Our goal is to use EquiLumination Lighting to provide you with the best lighting solutions and design energy saving systems that will improve your facility and reduce costly maintenance. Learn more about the products below and contact us today to get started in designing your equestrian facility! At Amberway Equine we believe that EquiLumination has the most complete and comprehensive line of fluorescent high bays on the market. 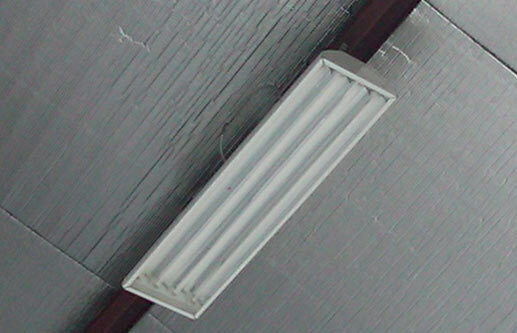 This lighting is a much superior alternative to metal halides and operates at a fraction of the cost. Are you concerned that your facility has special conditions? Don’t worry we have seen it before and know the best way to address it. Operates on 1/2 the Electricity! 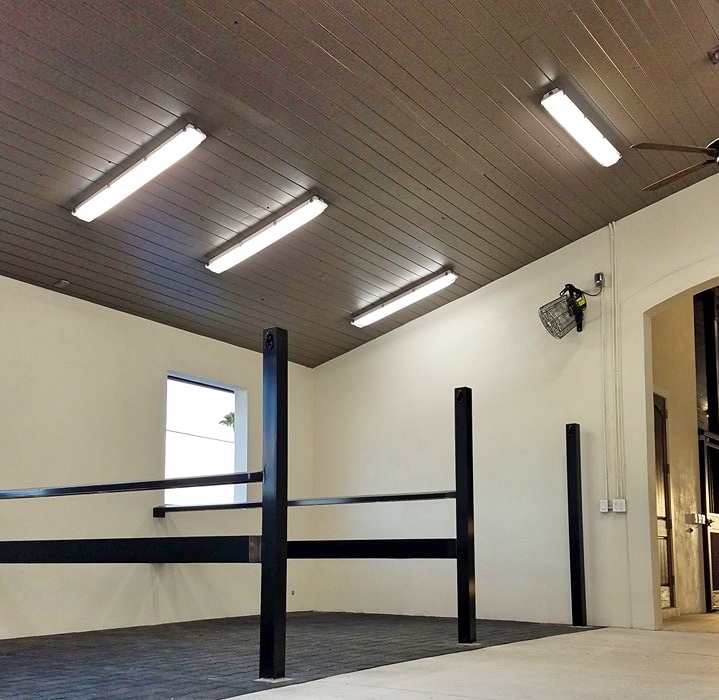 EQUIWET 100: Hose down rated high ceiling to be used in riding arenas, stables, wash stalls, grooming stalls, maintenance barns and other possible applications. The fixture comes with a water clear lens, stainless steel latches and hanging hardware. EQUIDRY 200: All purpose, premium high ceiling. 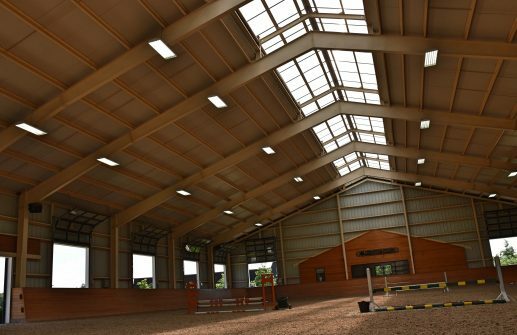 Suitable for most high ceiling applications including, but not limited to: indoor and/or covered riding arenas, stables and maintenance barns. All options and accessories are available. EQUIWET200: Hose down location rated general purpose fixture. Often used in stalls, wash stalls, grooming stalls, aisles and feed rooms. Easy to keep clean!